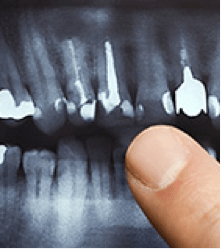 We don’t know many people who enjoy thinking about cavities, but the sooner you can identify one, a restorative dentistry appointment can scheduled to remedy the problem and avoid more series issues. Pain: If your teeth hurt, it very well could be a cavity. Sensitivity: Is there an area in your mouth that is sensitive to cold, hot, or sugary foods? Unpleasant Breath: Oftentimes, untreated cavities can cause unpleasant breath due to bacteria accumulation. If you are experiencing any of the symptoms above, request an appointment today at your favorite Western New York Dental Group location. This is some great information, and I appreciate your point that unpleasant breath can be a sign of a cavity. I’ve been having problems with bad breath, but I brush twice a day and floss daily, so I’m not sure why I’m having this issue. I’ll definitely look into visiting a dentist right away to see if it’s a cavity forming. Thanks for the great post!